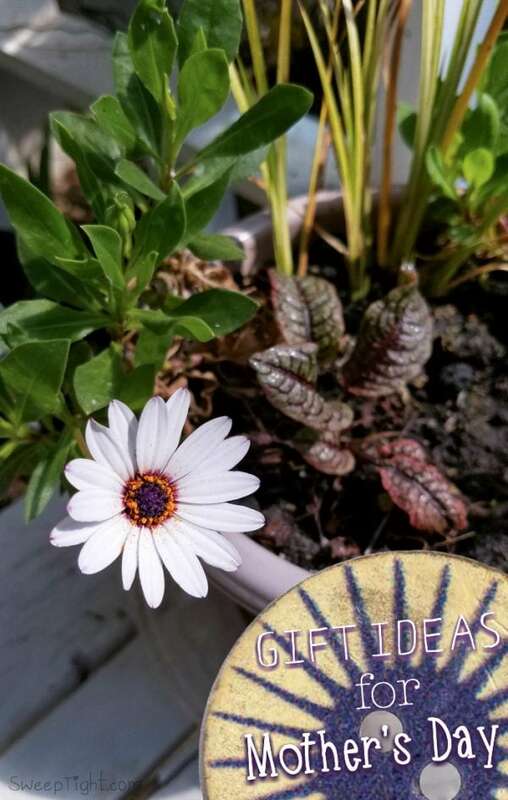 Coming up with Mother’s Day gift ideas can be really fun–or quite stressful depending on your situation. I like taking the guesswork out of all that and letting the experts help. For example, gift baskets from Gourmet Gift Baskets are put together with care and thoughtful ideas for all kinds of personalities. (I received the Tea & Cookies Premium basket to help facilitate this post.) For the rest of these suggestions, I happen to be a mom who lives for tea time, so I’ll be giving you my expert opinion. 🙂 All thoughts and opinions shared here are my own. Tea time involves tea (according to Captain Obvious,) but in my case, it also involves some sort of cookies or sweet treat. There are a plethora of gift ideas that come to mind, but here are my favorites. Gift Baskets. You can chose from tons of options HERE, but I’d suggest the one we got because it’s full of all the best stuff for tea time. 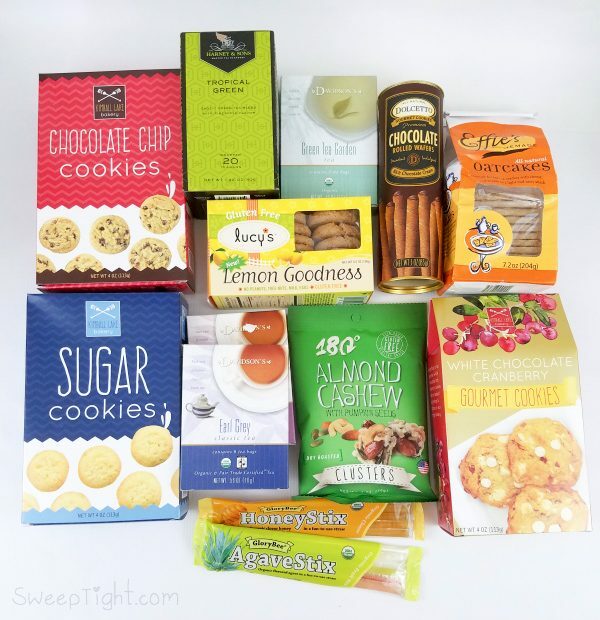 Scrumptious cookies, high quality teas, and fun mix-ins like HoneyStix! Plus, it arrives beautifully packed in a pretty basket and can be shipped just about anywhere. Loose Leaf Tea. I am completely obsessed with loose leaf teas. They’ve got excellent flavor and are fun to play with. I like mixing different flavor combos together and being able to control the amounts I use. Sampler sets are my favorite to receive because they offer a great variety and are fun for having on hand at parties. Guests love options. Cold Tea Pitchers. The best part about tea is that it’s great hot or iced. A tip for making iced loose leaf: brew it double strength and then pour over ice. These pitchers make that super easy. I love the bottom-dispensing type. You simple set it over your cup and it pours out the bottom. On The Go Tea-ing. One thing about loose leaf, it can be a bit of a hassle on the run if you don’t have the right equipment. These travel mugs make it super easy for mom to enjoy her favorite teas on the fly. They can also be for fruit and water infusions too. Libre Tea also makes loose leaf tea travel glasses that are gorgeous. Or, if you’ve got the perfect potted plant arrangement and simply need some cute decorations, those are super addicting to collect! Sometimes choosing the mug is the most fun part of drinking tea. Get mom a personalized mug or a mug that matches her personality. The sloth tea infuser is so adorable!!! I like the Gourmet Meat & Cheese Basket. i love the Mother’s Day Orchard Fruit Basket and thanks for the giveaway. I like the Coffee and Chocolate Gift baskets! I like the Neighborhood Favorite Collection – Steak Gifts. I like the Mother’s day gift basket Breakfast in Bed. Premium Spa Gift basket looks like one my mother would love. I would love the All My Love Berries basket. These are beaiutiful ideas and go well with my mommy. She loves tea and will definitely adore these gifts. Now, on her coming bday, she ll be receiving these. My favorite is the New England Breakfast basket. I like the wine basket for me, but my mother would like the gardening basket! I love the New England Breakfast basket. I like the gardening gift basket. Very fun. President’s Choice Cheesecake Sampler. Looks yummy! 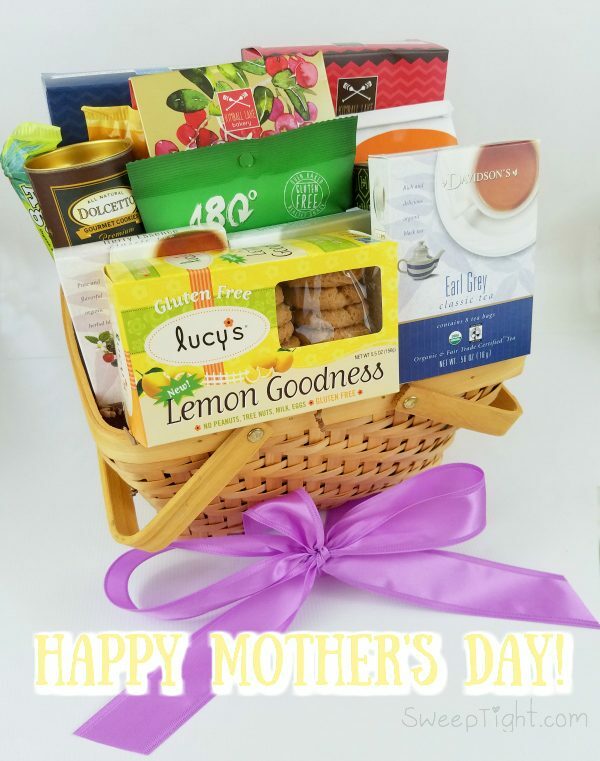 My favorite Gift Basket is the Mothers Day Delight! Dried fruit, nuts and chocolate truffles! Yummy! Thank you! I like the Coffee and Chocolate Gift basket. Love this fruit gift basket. I love the premium tea and cookie basket. Those are a few of my favorite things! The Taste of Europe basket looks pretty awesome to me! The Snack & Chocolate Executive Suite Signature Series gift basket looks very nice!